We have a strict branding policy- all our engineers wear uniforms and all our vehicles have HappyAppliances logo brandings. This means you can feel safe knowing, who is at your door. 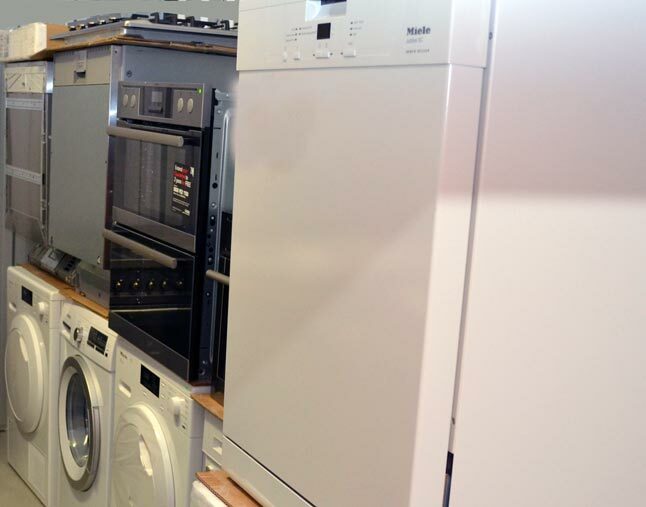 As appliances specialist, we offer an installation service. If you have a new appliance and need someone to connect it, or you have an integrated appliance and you are wondering how you can fit it in? We are here to help ,just call our friendly team for more information. HappyAppliances are WTA , Domestic Appliance Service Association, and F-GAS registered company for quality assurance. Do not hesitate to get in touch with our Happy Team! HappyAppliances- a company that you can trust! 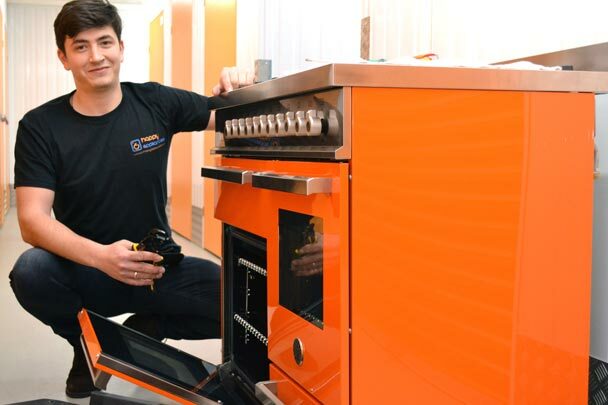 Our engineers at HappyAppliances have worked in small, as well, as large companies and are known with their long gained experience in repairing white goods/major appliances. We as an employer think highly of experience, as this helps providing fast, proper and quality service for your appliances. Also our engineers support all guaranteed brands across the UK, which lets us send you the most suitable engineer, who knows all the possible defects of your appliance and then repair what needs to be repaired. HappyAppliances has been on the market for many years. This has given us enough time to find the right way to teach our engineers and customer service workers to provide you with the cheapest and best quality repair parts for your appliances. Last but not least, we pride ourselves that our engineers treat our customers and their properties with attention and care. They will explain to you where the problem is and what needs to be fixed. If there is more than one solution, before we repair your appliance, you will be presented with all of them and be able to choose the one you like most. In that way we built your trust as a clients, so that we can bring you happiness. Find more about our capabilities and skills. 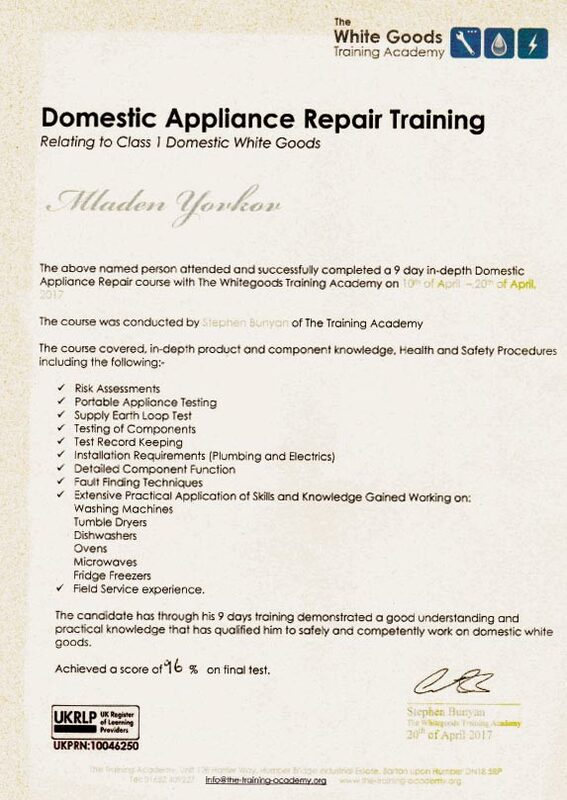 Our HappyAppliances engineering team is trained and certified by “The White Goods Training Academy”. We specialize in repairing and maintaining all brands fridge freezers, washing machines, dishwashers, ovens, microwaves, cooker hoods, dryers and other electric appliances. Our trained and experienced staff and good quality spare parts are the main reasons, why our customers always receive the best service possible, which is efficient and reliable at the same time. 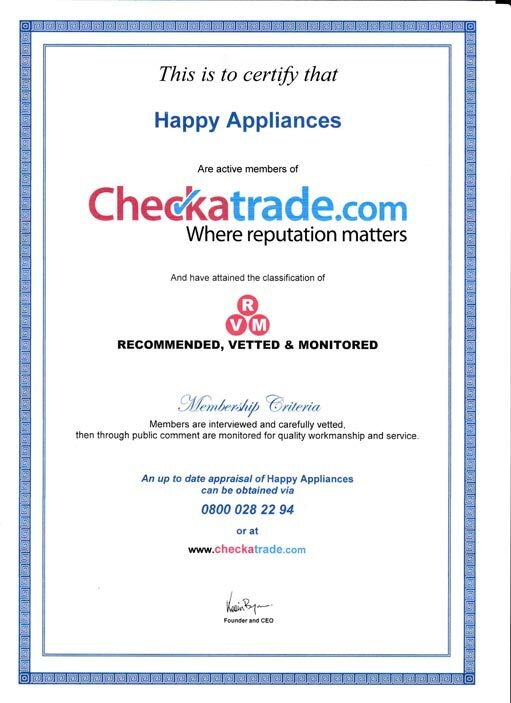 HappyAppliances is certified by Checkatrade too. We are part of one of the top directories for trusted service contractors in the UK. They run a very strict and comprehensive check of all their members, before they get listed on the website. Once they are online, all their customers can leave a review on their page. To keep appointments and always arrive on time. We always give you a call 30 min before we knock on your door, so no more waiting and no more missed appointments. We offer same day or next day appointments and time slots to suit you. We are equipped with a wide range of spare parts – in case we don`t have what you need, we can quickly arrange to be delivered. 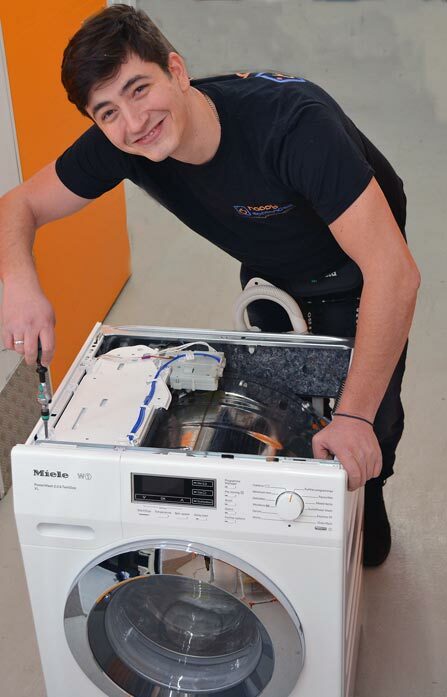 Highly skilled , trained and experienced engineers, so your appliances are in good hands. We do not charge for parking , congestion charge etc. Fixed one – off labour charge, no matter how long the repair takes and if there are repeated visits. All of our work has an one year guarantee for your peace of mind. We are fully insured for public and employers liability.